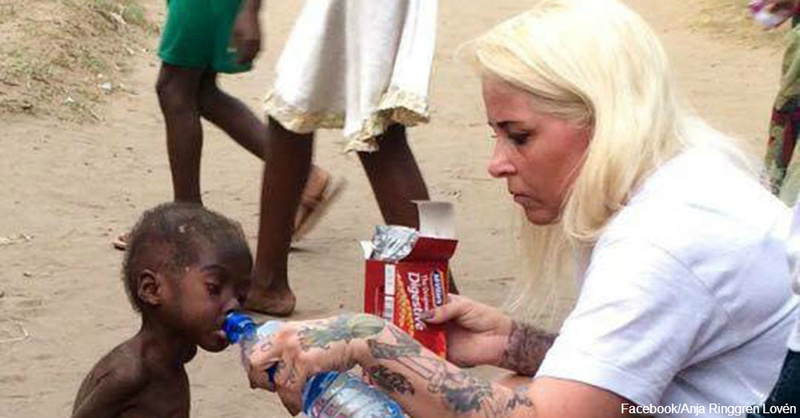 A starving little boy has been given a second chance at life thanks to the kindness of Anja Ringgren Loven, a Danish aid worker living in Africa. 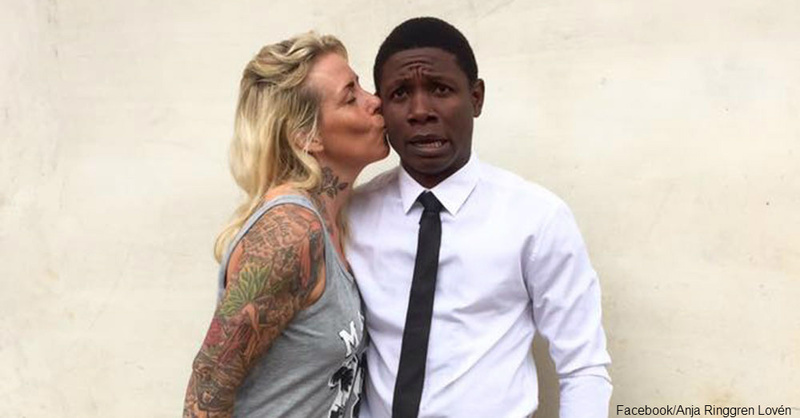 The boy, who Anja named Hope, was 2 years old and had been wandering the streets of Nigeria for eight months when she rescued him. Like thousands of African children, he had been cast out by his family and labeled as a witch after the family had come under hard times. In Nigerian culture, a belief in witchcraft is commonplace, even among those who identify as Christian and attend Christian church. In fact, according to HuffPost Impact, it is this blend of pagan culture and Christianity that is behind many of the accusations of “child witchcraft” in that impoverished country, where literacy rates are low and superstitions run high. The problem has been growing since 1999, says Leonardo Rocha Dos Santos, the cofounder and director of Way to the Nations, a Brazilian organization than runs an orphanage that helps care for children accused of witchcraft. At that time, film producer turned “evangelist” Helen Ukpabio produced a movie, “End of the Wicked,” whose aim was to convince the Nigerian people that child witchcraft exists. The movie was successful, and soon after Ukpabio founded the Liberty Foundation, an “exorcism ministry” that offers deliverance to families who experience misfortune for a hefty fee. Ministers of Ukpabio’s self-styled religion convince beleaguered families who seek their help that their problems are caused by a child-witch hiding in their midst. Desperate and terrified, the family resorts to whatever means they are told to use, including torturing, murdering and casting out their own child, to save themselves from continued harm. Even before rescuing Hope, Anja and her husband had been dedicating their lives to helping children in Africa through their charity, African Children’s Aid Education and Development Foundation. They partner with other organizations, including Safe Child Africa, an organization that seeks to end the practice of branding children as witches through literacy programs, child advocacy and education. Both charities also provide a safe environment for children who have been labeled witches to recover from their injuries, both physical and psychological, and grow into healthy adults. As you can see from Hope’s photos, they are doing a wonderful job. It may be difficult for people in Western society to comprehend a culture than brands children as witches and leaves them in the street to die. Yet, illiteracy and superstition are powerful tools that unscrupulous people all too often use for financial gain. Thankfully, good people like Anja and the workers at Safe Child Africa are picking up the pieces of these shattered lives.